Medinah Athletic Club was built in 1929 and was a luxury men's club for members of the Shrine organization, the club fell victim to the stock-market crash and was forced to close its doors in 1934. 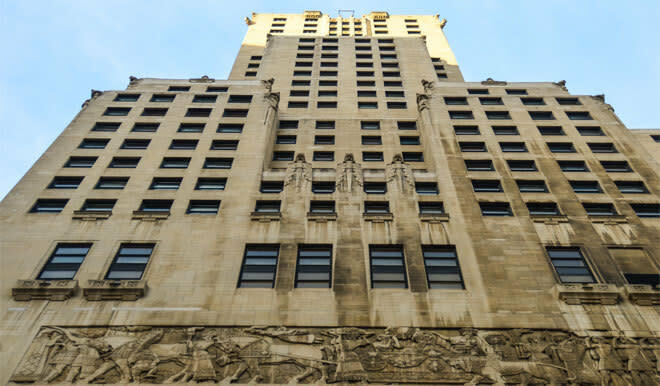 InterContinental Hotels, renowned for its international portfolio of extraordinary restorations, bought the property in 1988, and immediately began renovations. A quarter of a billion dollars and 12 years later, the truly magnificent InterContinental Chicago hotel was re-introduced to Chicago. Restoration work was guided by the original athletic club's 1930 yearbook, the SCIMITAR, donated by a club member. Its black-and-white photographs were used to duplicate and restore entire rooms, right down to the detailing in draperies, carpets and murals. Today, each floor of the hotel represents a myriad of cultures and eras. The public areas available for viewing provide a glimpse of the rich history of the building. 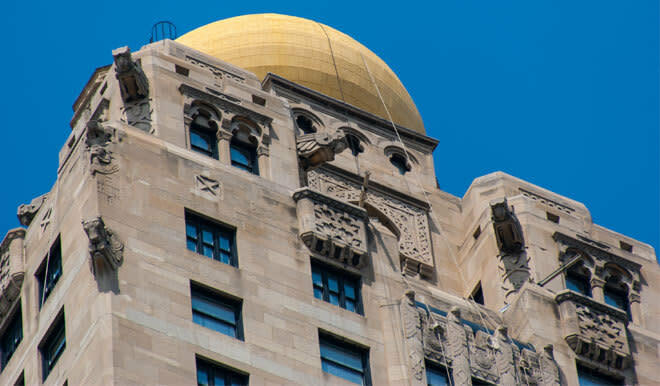 As guests pass through the bronze doorway on Michigan Avenue, they are welcomed by the Shriner's original greeting, etched in marble between two columns: "ES SALUMU ALEIKUM" meaning "Peace be to God," a salutation still used by Shriner's today. At the tops of the two large marble columns are medieval hooded and sleeping knights. The four-story lobby features a grand staircase with cast-bronze friezes along the handrail taken from the original Medinah Athletic Club, showcasing a harmonious merging of old-world elegance with 21st-century craftsmanship. The ceilings are painted in dark tones with Celtic and Mesopotamian motifs of the lion, the fish, the eagle and the Assyrian bull to typify the highest powers of nature.